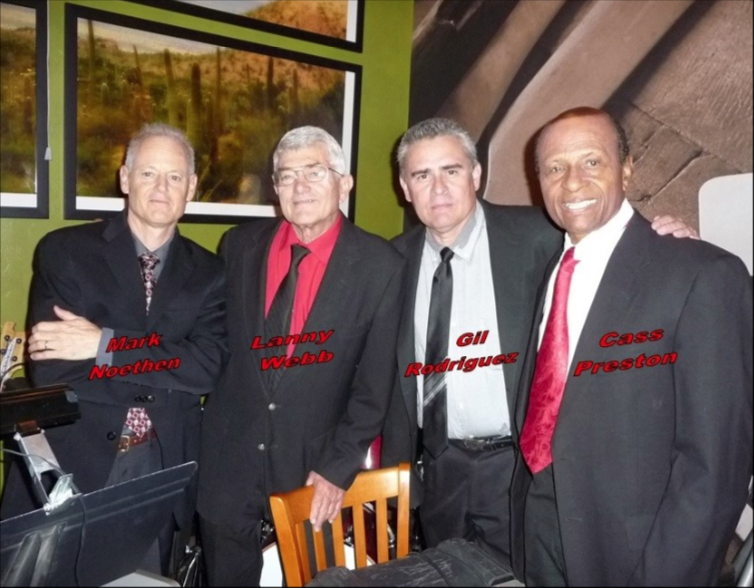 NoethenButJazz Quartet features a wide variety of jazz styles that engages audiences of all ages and musical interests. They love to get people on their feet with Swing, Latin, Blues, and Pop styles. The band repertoire includes everything from New Orleans styles to Lat- in jazz, Sinatra and Harry Connick, Nat Cole to Jimmy Heath, Burt Bacharach and more.